Once a year ANDYMC gathers as a community specifically to share our joys and challenges of youth ministry, to collaborate on fresh initiatives and participate in professional development. In 2016 this was no exception with ANDYMC gathering for 4 days in early October in the beautiful host diocese of Maitland-Newcastle. The 4 day gathering included facilitated ministry sharing and debriefing, presentations from the ACBC Office for Youth and a professional development day with international guests Steve Allgeyer and Scott Bagshaw from Life Teen. The days also allowed for shared ministry concerns to be raised and time for collaborative strategies and projects to be devised. This year special projects were formulated around developing a standardised Diocesan Youth Ministry Role Description, development of a shared event and formation calendar as well as resources and projects specifically related to the upcoming Year of Youth in 2018. Many of the network arrived the evening prior to the meeting beginning, which gave the unique opportunity to experience an authentic example of Diocesan Youth Ministry as expressed within the Maitland-Newcastle Diocese at ‘Pints with a Purpose’. 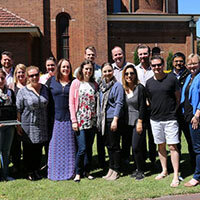 A highlight of each ANDYMC gathering is the host Diocese excursion, which this year was particularly special with an afternoon tour of the local vineyards in the Hunter Valley allowing time to sample God given gifts of the local environment while also providing time for fellowship among the network. 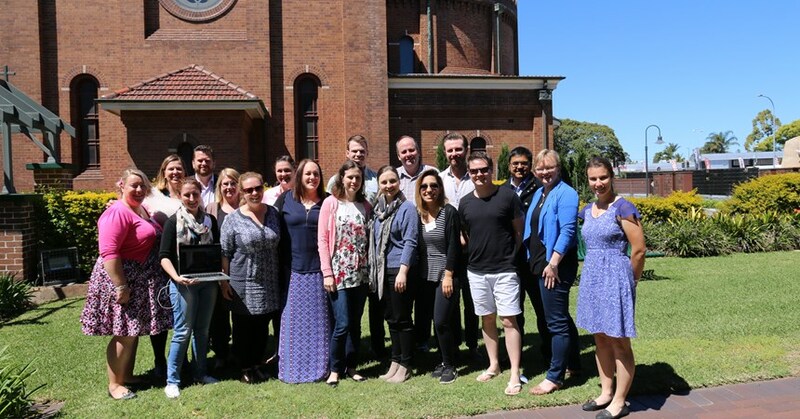 We look forward with renewed energy to the year ahead, as we all prepare for everything 2017 has to offer, including ACYF, laying foundations for the Year of Youth and looking forward to gathering again at our annual member meeting which will be hosted by the Diocese of Toowoomba. Many thanks to our host Diocese, Maitland-Newcastle; To Fr Greg Barker for presiding over our opening Mass and facilitating our sharing and debrief session, Bishop William Wright for sharing his time with us on several occasions over the week, in particular when presiding over our final Mass and finally our host ANDYMC member Maryanne Hacker for pulling the organisation of the week together and being a gracious host.